If you have read Foods That Cause Heartburn, then you are aware that there are numerous foods and drinks you need to avoid. This list, is for foods that are safe to consume and should not trigger your heartburn. By rotating foods from this list into your daily routine, you can help yourself become free from heartburn. However, even with heartburn safe foods, you still need to stop eating at least 2-3 hours before bedtime. Keep in mind that some of these foods or drinks may cause heartburn for you. This is a general list of typical foods that do not cause heartburn. Use this as a base list to find out what foods and drinks keep your heartburn free. Then, try to work these into your daily diet. Also, keep in mind that its not always which foods you it, its how much you eat. Too much of any food is never good and can trigger heartburn. Try and limit the amount of food you eat and when you eat it. A large meal before bedtime regardless of what you eat can trigger heartburn as well. However, foods are not the only things that can cause heartburn. Heartburn is an uncomfortable burning feeling within your chest, and is usually worse when lying down. Everyone experiences occasional heartburn. It can usually be treated with easy to implement changes in lifestyle. Still, chronic heartburn may be a symptom of a worsening problem. At this point a visit to the doctor is in order. The painful fire burning in your chest typically occurs after eating, and may be worse at night. Heartburn takes place when acids from the stomach backup into the esophagus. You should visit a doctor if you suffer this problem more than two times a week, or if it does not go away after using over-the-counter medications. In addition there are some foods and beverages that are more likely to cause heartburn than others. Alcohol, coffee, fried foods, chocolate, mustard, ketchup, and vinegar are likely to contribute to heartburn. In addition foods high in fat may also cause heartburn in some people. Not all people who indulge in the mentioned drinks or foods will suffer from heartburn, but some individuals may be sensitive to them. Chronic heartburn is a problem that interferes with your daily life. It is also known as gastroesophageal reflux disease. Your doctor may issue you prescription medicine to help with this disorder. For the occasional sufferer antacids can be taken and will help reduce the effect of stomach acids. There also over-the-counter medications that lessen the production of acids in the stomach. In the end, lifestyle changes may be required to eliminate, or at least reduce heartburn. Raising your head when you sleep may also help reduce symptoms. If you suffer chronic heartburn and smoke, you should seriously consider quitting. Smoking causes the lower esophageal muscles to fail causing stomach acid to backup. If the problem is chronic make an appointment with the doctor. There are a number of medications that can trigger heartburn. For a full list of them, read Medications that Cause Heartburn. Quit smoking and chewing tobacco. The chemicals in cigarettes and tobacco actually weaken the LES and can cause it to loosen up, allowing stomach acids into the esophagus. Like overeating, being overweight causes extra pressure on the stomach, forcing food and stomach acids into the esophagus. If you are overweight, try and lose a few pounds. Even an extra 5 to 10 pounds can help. If you are taking a Proton Pump Inhibitor (PPI), take it at the same time every day. This will help you prevent heartburn before it starts so make sure to get your self into a routine of taking your medication. There are many contributing factors that can cause heartburn. The biggest contributor is the foods we eat. However, food is not the only contributing factor. There are many lifestyle changes you can make to not only stop heartburn, but you can prevent it from coming back. Here are some lifestyle changes you can start making today to begin your journey to heartburn relief. Give yourself 2-3 hours after eating dinner before going to bed. This gives your stomach time to digest your food and neutralize stomach acids. Try to avoid overeating. Overeating causes additional pressure on your stomach which in turn causes more pressure on your LES, increasing the chances of having heartburn. Instead, eat smaller meals throughout the day. One suggestion is to sleep on your left side during the night. 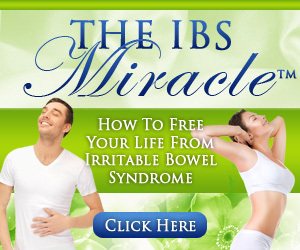 The is supposed to help with the digestion process. Slow down when eating your food. Allow yourself time for the food to go down your esophagus and begin digestion in your stomach. 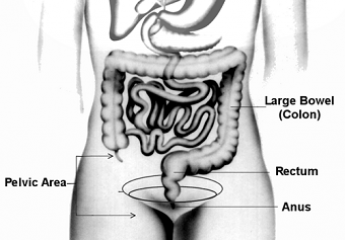 Try to avoid close that are tight fitting around your stomach / abdomen area. These can cause added pressure, thus making you more susceptible to getting heartburn. Drink plenty of water throughout the day. You don’t want to drink too much at once, but space it out throughout the entire day. Keep your diet in check. People who are overweight are much more likely to suffer from heartburn than those who are healthy. Practice stress management. Stress and anxiety can both cause heartburn. Learn how to effectively deal with stress. Many people need instant heartburn relief and are looking for quick and effective home remedies for heartburn. Suffering from the pain and inconveniences of heartburn is bad enough alone. Having to spend tons of money on monthly medications, antacids, doctor visits, and even surgery can all be very expensive. Here are some home remedies that may help you out and possibly put some money back into your pocket at the same time. Water is one of the most easily accessible and cheapest home remedies for heartburn. As soon as you feel the slightest bit of heartburn, drink a glass of water. This has been known to help stop heartburn if you catch is soon enough. Slippery Elm can either be taken as a powder that you mix into tea or you can take flavored lozenges. The tea isn’t the best tasting but it is recommended to drink in the evening and is supposed to help you sleep through the night with no heartburn. Read more about it: Organic Slippery Elm Bark Powder or Slippery Elm LozengesPapayaPapaya is to be taken before you eat or at the first sign of heartburn. Papaya contains papain, which is an enzyme that aids digestion. The best method is to use the chewable tablets. Many people believe bananas are a natural antacid and that eating one can help relieve or even prevent heartburn and are another great option when looking for home remedies for heartburn. Another good option for home remedies for heartburn is milk. Many people believe that milk coats your stomach and can relieve your heartburn. In many cases, this is true and people will swear by it. However, there is controversy because some say that because of that fats, proteins, and calcium in milk, that it can actually stimulate the stomach to secrete more acid. If you try milk and notice that is causes heartburn instead of relieves it, then try and cut it out of your diet. Drinking green tea is supposed to help soothe the stomach and aid in the digestion process. A lot of people have found that taking ginger with a meal helps to reduce heartburn and indigestion. Ginger can be taken with tea or capsule form or even be ground and added in foods.Aloe Vera JuiceAloe vera juice is meant to aid in digestion and help heal the intestinal tract as well. Drinking Chamomile tea after a meal can help to relieve esophageal irritation. Please keep in mind that every human is different and what works for some people may not work for you. It is always a good idea to keep a heartburn diary and keep a log of which foods give you heartburn and which ones do not. Use these home remedies for heartburn as a method of quick relief for heartburn.